Unfinishing is the action of undoing what seems complete—or of unmasking the manufactured product. This word comes to mind as an attribute of the work Skins (1995–96) by Moshekwa Langa. Included in the artist’s first solo exhibition in Johannesburg, South Africa, the series of drawings was inspired by a rapidly developing neighborhood in Bakenberg, and incorporates raw materials found on construction sites. 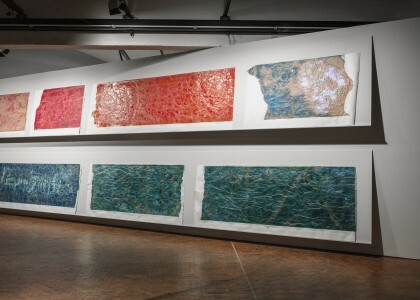 The drawings were produced through overlaying several materials on top of each other—an intense reworking of the paper with Vaseline and turpentine that creates the visual effect of solidity. 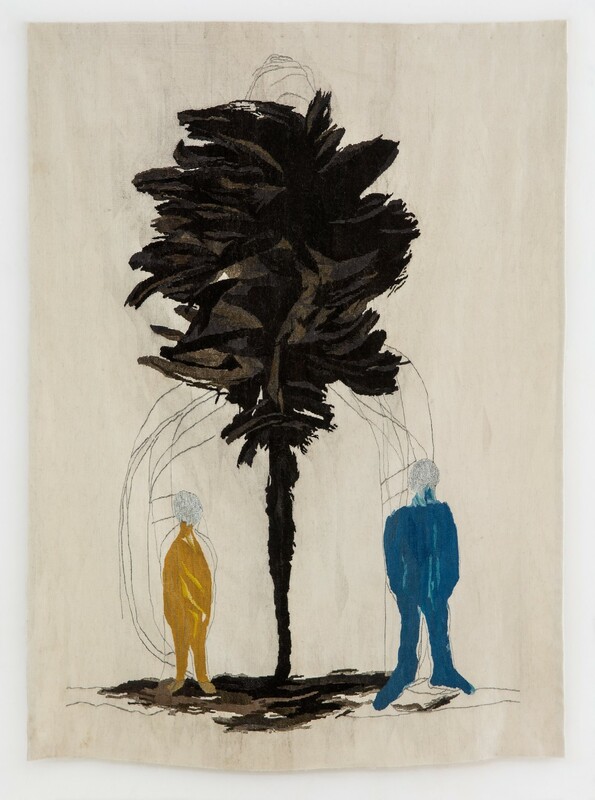 Langa’s work resonates with the register of capitalism, though darkly. In recent years, the artist has been interested in the interrelation between homelands and cities as imagined through characters who leave family behind in search of livelihoods. In this sense the artist has articulated how industrial capitalism relies on the availability of manual labor residing close to factories. Capitalism serves as a beacon by opening up the urban zone, giving hope in the measure of financial reward to the marginalized. While cities can be places of creativity, cultural production, and capital accumulation, the reality of disconnected laborers and abandoned families lies underneath. Langa’s work shows the city as a site of dreams represented in a poetic search for spiritual and material wholeness. The Berlin Biennale is funded by the Kulturstiftung des Bundes (German Federal Cultural Foundation) and organized by KUNST-WERKE BERLIN e. V.